Looking to book NBA YoungBoy for a corporate event, private party, fundraiser or public event worldwide? BookingEntertainment.com makes it easy and trouble free to check availability and pricing for booking NBA YoungBoy or any other act in the business with absolutely no obligations. Booking Entertainment is the leading entertainment booking agency specializing in booking NBA YoungBoy. We will be happy to help you get NBA YoungBoy's booking fee, or the price and availability for any other band, comedian or celebrity you may want for your corporate event, birthday party, wedding, fundraiser or public show. At Booking Entertainment, we put our 23 years in business behind you to help you get the best price for any entertainer, comedian or celebrity for your event. In addition, our team of seasoned industry professionals can handle every aspect of the entertainment portion of your event to make sure the entertainment runs flawlessly. If you are wondering how to book NBA YoungBoy for your event, you can trust our NBA YoungBoy agent to handle it for you. Find out why Fortune 500 companies, high net worth individuals and fundraising organizations come back to Booking Entertainment year after year for their entertainment buying needs. We can literally book any act for you anywhere in the world. The American rapper known as YoungBoy Never Broke Again (or, alternatively NBA YoungBoy or simply YoungBoy) was born Kentrell DeSean Gaulden in 1999 in Louisiana. Gaulden grew up in the Baton Rouge area, raised mostly by his grandmother. A tumultuous childhood experience led to his years in a detention center in his late teens; while serving his time, Kentrell adopted the moniker YoungBoy and began writing lyrics, hoping to break into the music industry as a rapper. NBA YoungBoy released Life Before Fame, his first mixtape, in early 2014. The next few years saw the additional mixtapes: Mind of a Menace, Mind of a Menace 2, and Mind of a Menace 3. But it was his fourth mixtape, the 2016 release 38 Baby, that finally earned him critical acclaim and his first breakthrough. However, following its release, NBA YoungBoy found himself back in jail for his participation in a drive-by shooting, interrupting his career for awhile. 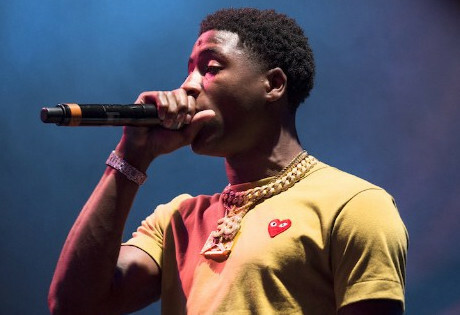 While in jail, YoungBoy released the singles “Too Much,” “Don’t Matter,” and “Win or Lose,” staying on top of his aspirations to become a rising rap star. After his release from jail in the spring of 2017, NBA YoungBoy released the single “Untouchable,” which rose into the top forty on the rap charts in the United States, and cracked into the top 100 on the mainstream charts. Since the release of “Untouchable,” NBA YoungBoy has been on a steady rise. His recent collaborations with notable artists such as Yo Gotti and 21 Savage have resulted in additional mixtapes, including the recent Ain’t Too Long (2017), and plans for an upcoming tour. Once the tour is completed, NBA YoungBoy has plans to enter the studio to prepare for a debut album. For more information on booking NBA YoungBoy, please contact Booking Entertainment. One of our top booking agents will be happy to work on your behalf to get you the best possible price to book any big name entertainer for your upcoming public, private or corporate event worldwide.